If you live on the Southside or Peninsula area of Virginia and are interested in fostering a homeless animal, please fill out this form. You will not be financially responsible for an animal unless you chose to be. Someone will call you in a few days. You must be 18 to submit a foster application. Thank you. What type(s) of pet you would like to foster? Have you fostered animals before? If you have not fostered before, what kind of experience do you have with animals that would be helpful in fostering? Do you have any experience training and working with animals with behavioral problems? Will you be able to keep the foster animals separate from your own if necessary? Do any of the members of your household have allergies? Are the animals currently in your home up-to-date on vaccinations? Are the animals currently in your home spayed or neutered? How many hours a day will your foster animal be without adult care? Where will you keep your foster animals during the day? Where will you keep your foster animals during the night? What will you do to find your foster animal if it becomes lost? 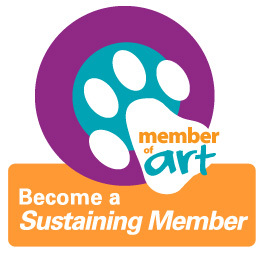 Are you willing to let an ART member come to your home for a home check? May potential adopters visit your foster animal at your home? How long are you willing to foster (3 months if necessary)? When would you like to start fostering? Please let us know of any other comments or concerns you have? By submitting this form, I certify that I have answered the questions above truthfully and completely. I understand that although ART takes reasonable care to screen animals for foster care placement, it makes no guarantee relating to the animals’ health, behavior or actions. I understand that I receive foster care animals at my own risk and can reject or return any animals for which ART has asked me to provide care. I indemnify and hold ART and its members free and harmless from all liability arising out of any and all claims, demands, losses, damages, action, judgment of every kind and description which may occur to or be suffered by me, members of my household, or any third parties by reason of activities arising out of this agreement.